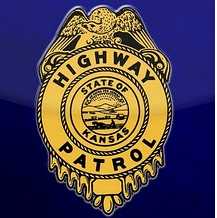 At approximately 10 p.m. on June 24th a driver of a 2003 Ford F250 was driving Westbound on K156 when he struck a deer. The driver got out of the vehicle to move the deer from the road when a 2000 Chevrolet Impala struck the Ford. The Driver of vehicle 1 was in the process of moving the deer when the driver of vehicle 2 hit vehicle 1 and then hit the driver of vehicle 1. The driver of vehicle 1 was taken to the hospital and the driver of vehicle 2 sustained no injuries.